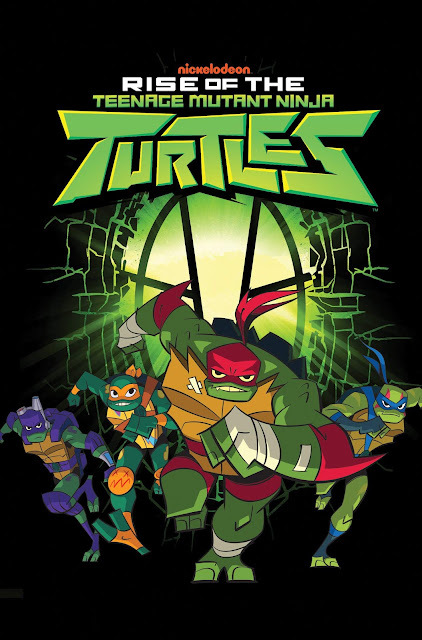 The first half of our Rise of the Teenage Mutant Ninja Turtles miniseries is collected in a handy smaller-size trade paperback out March 26th. This volume collects issue #'s 0-2 of Rise, featuring my scripts, the pencil and inking wizardry of Chad Thomas, coloring by Heather Breckel, lettering by Christa Miesner, assistant edits by Megan Brown, edits by Bobby Curnow, and even some covers by Rise producer Andy Suriano. 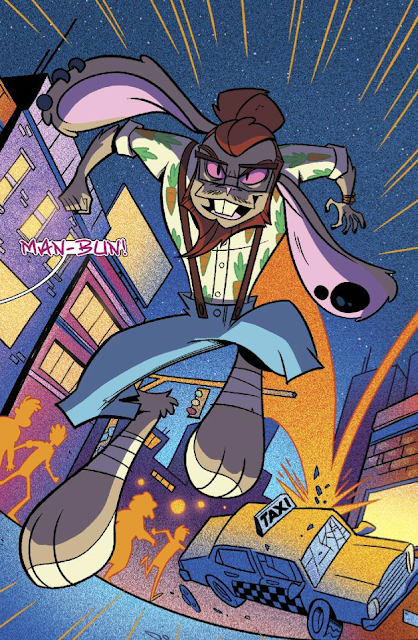 If you missed the first appearance of Man-Bun, the half bunny/half hipster mutant, this is your chance to rectify that glaring, glaring mistake in your life. Volume 1 of Rise of the TMNT is available at your local comic shop or by clicking here.